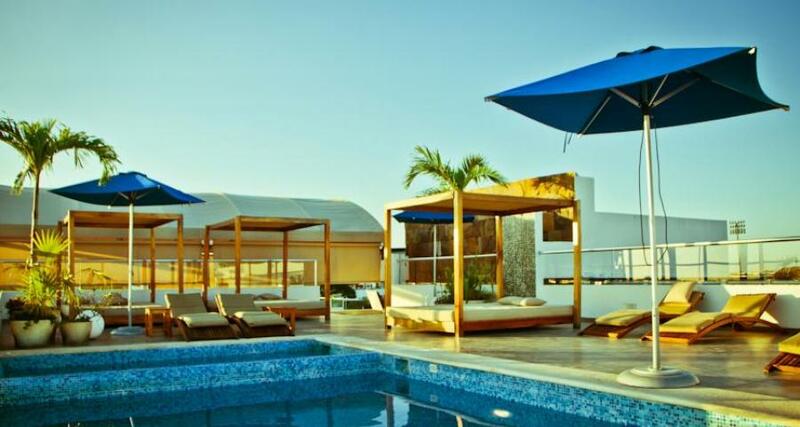 Soho Playa is a 4* hotel located in Playa del Carmen, Mexico. It features 23 rooms and swimming pools. Soho Playa is a comfortable hotel offering a peaceful atmosphere and a strategic location in the heart of Playa del Carmen, making it a great starting point for people looking to explore the city's beautiful beaches, the famous Quinta Avenida (Fifth Avenue), and other attractions. On the premises you'll find charming eclectic decor and an urban ambiance, creating a perfect setting for a relaxing experience. The hotel also features spacious, beautifully decorated guestrooms. During your time here you can make the most of the rooftop swimming pool to relax and unwind as you admire the panoramic view of Playa del Carmen. The hotel provides guests with coupons so that they can enjoy breakfast at a nearby restaurant.